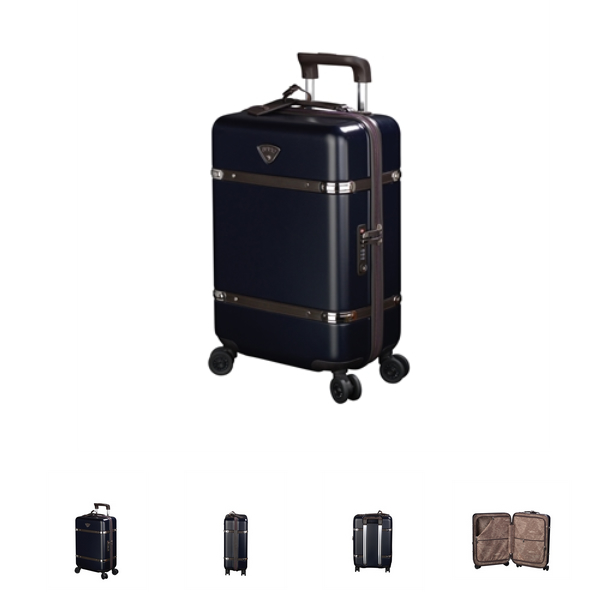 Cassis is a styllish luggage collection from Jump. A hardshell spinner, with four wheels, and 100% premium polycarbonate, leather handle and belt like trimmings across the top and bottom of case. Also built with durable double wheels. Interior has map like design printed on lining.